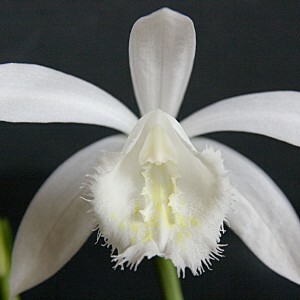 Applications: a place where the soil is slightly modified and not too dry. The best soil is half-digested leaves, possibly even half-digested pine needles and mixed with the already present garden soil. 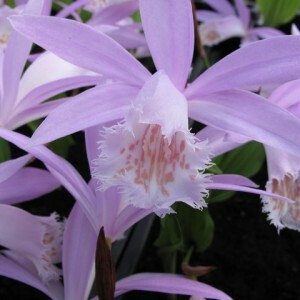 Pleione originates from areas with different seasons of spring, summer, autumn and winter and grows best where the average temperature in summer is around 25 degrees Celsius. 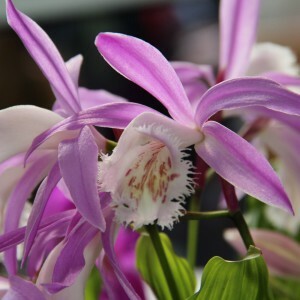 In winter, while in the rest period, they must be kept cold but just frost-free. Between 1 and 5 degrees Celsius is ideal. Cover well in the garden. During this rest period, they do not need water. Only when they start running out can they get water. In areas where the winter is too hot they can be kept in a refrigerator. 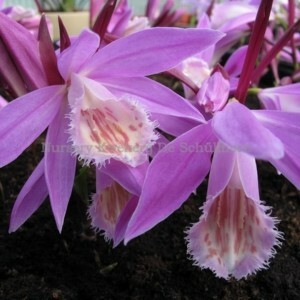 They are also very suitable for planting in pots. 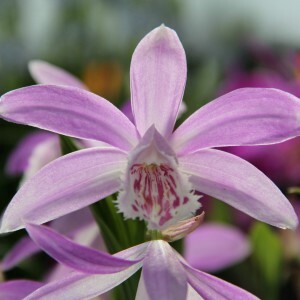 Pleione Rossini, Verdi and Vivaldi are selections (selected by our nursery) from Pleione formosana. 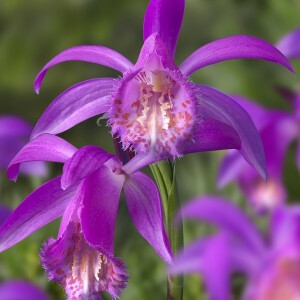 These 3 new species Pleione are registered with the RHS and published in the Orchid Review Supplement 119 (1294): 39 (June 2011).